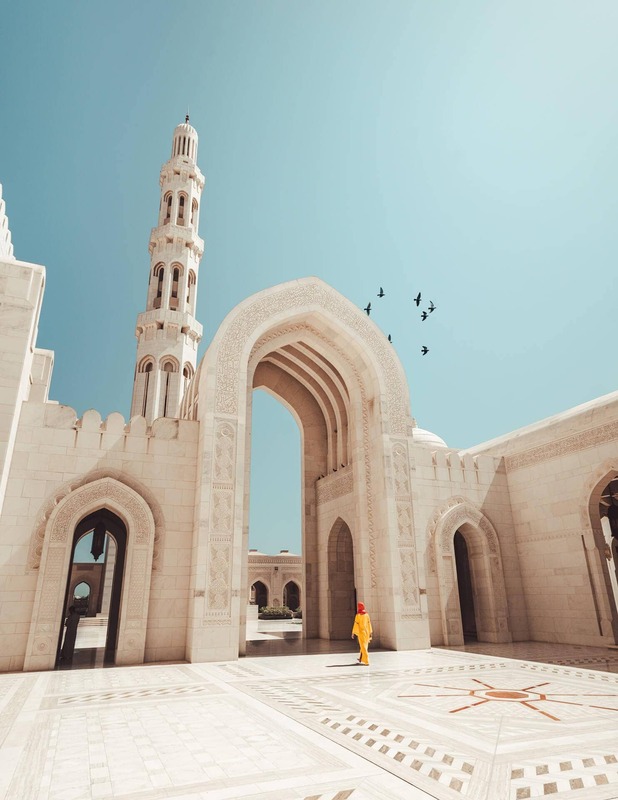 When you think of Oman, you won’t directly think about a travel destination. Most of the people, including us, didn’t even know about the country’s existence. 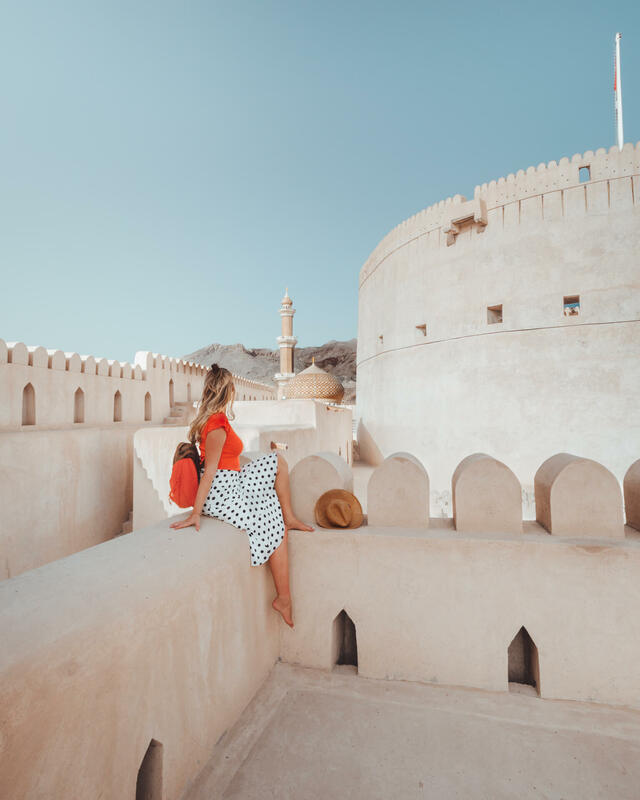 Oman is one of the easiest countries to travel around. 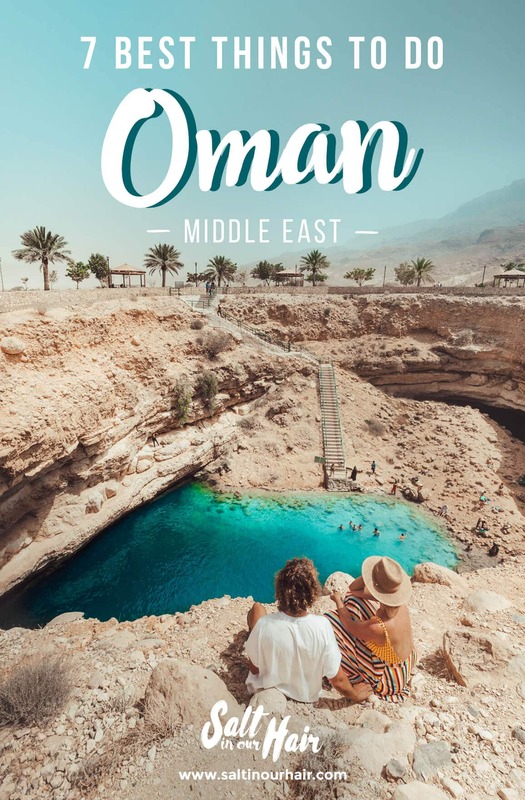 Their infrastructure is superb, Omani people are very helpful and friendly, and it’s one of the safest countries to travel, alone or together. Because of the country’s size, you can easily spend two to three weeks here. 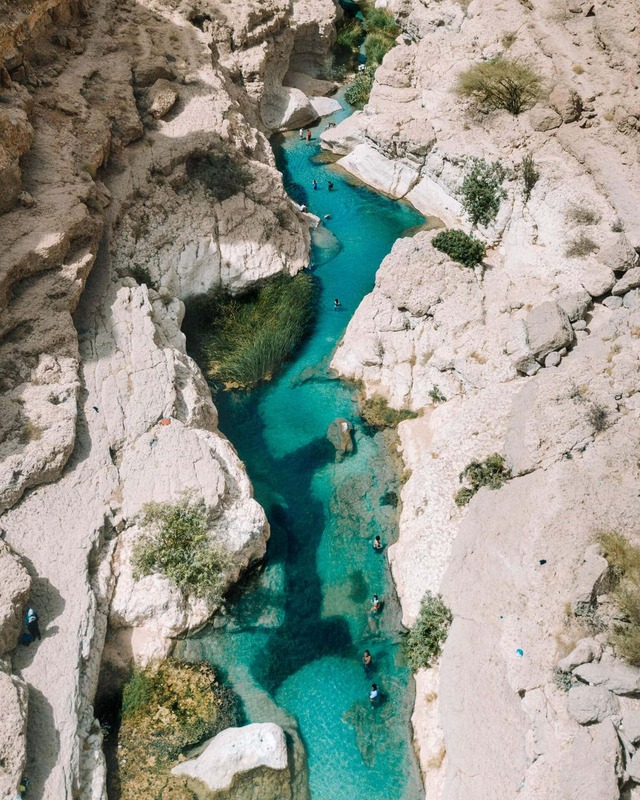 These are the 7 absolute best things to do in Oman. 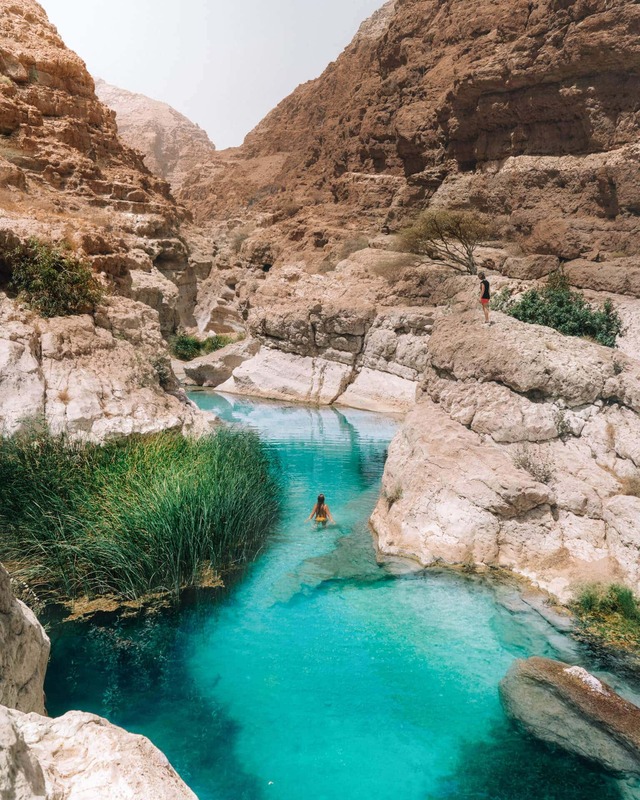 Wadi Shab is the best thing to experience during your Oman route. The wadi (gorge) is a beautiful quite easy 45-min walk along many emerald green water pools. Perfect to cool down during your hike. After the walk, you will reach the last part where you can swim through the cave and see a waterfall at the end. 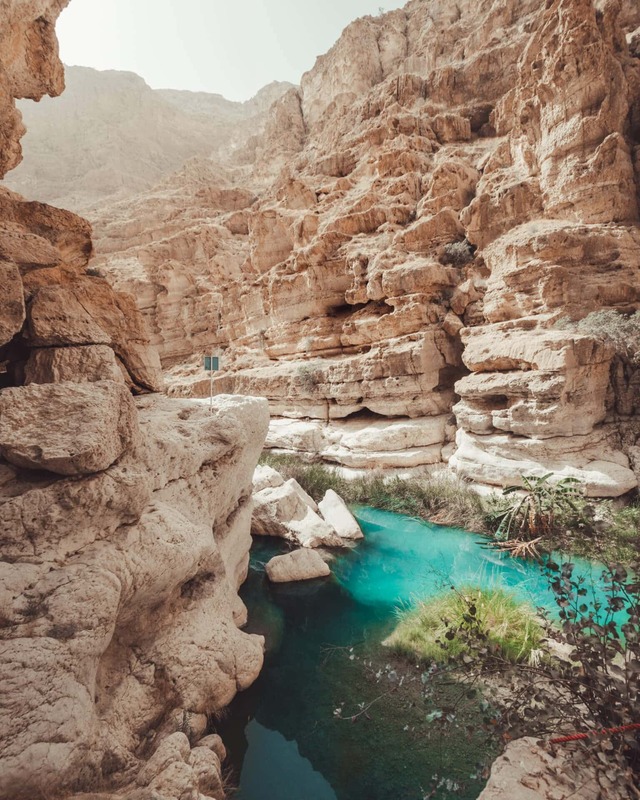 Wadi Shab is located a 1.5-hour drive from the Capital Muscat. It’s easy to reach since it is on the side of the highway. At the parking spot, you have to get a 2-min boat ride to get to the starting point of the small hike. The boat ride costs 1 OMR (2.5 USD). Muscat has quite a few affordable Airbnb’s. ➳ Click here and get $50 discount on your first Airbnb! 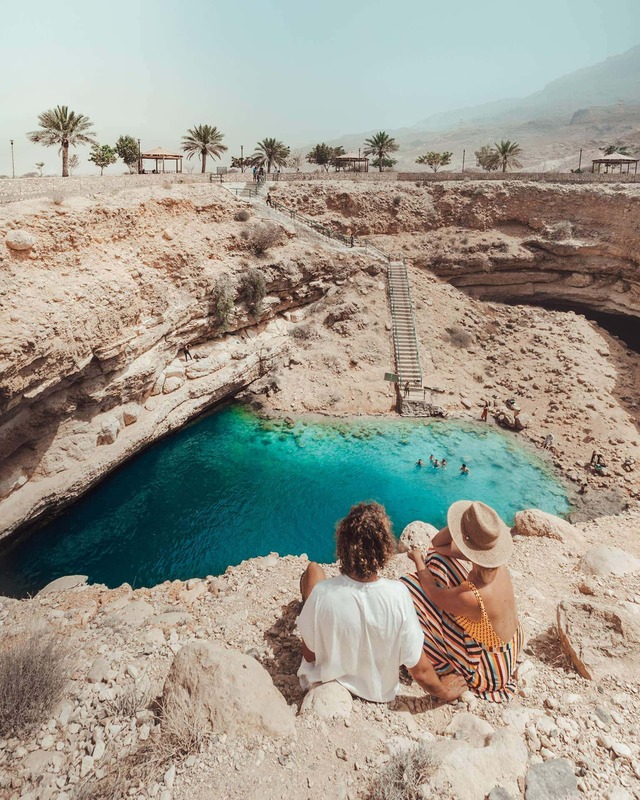 Plan to spend about 3 – 4 hours at Wadi Shab. Try to avoid the midday heat, a morning walk would be the best option. 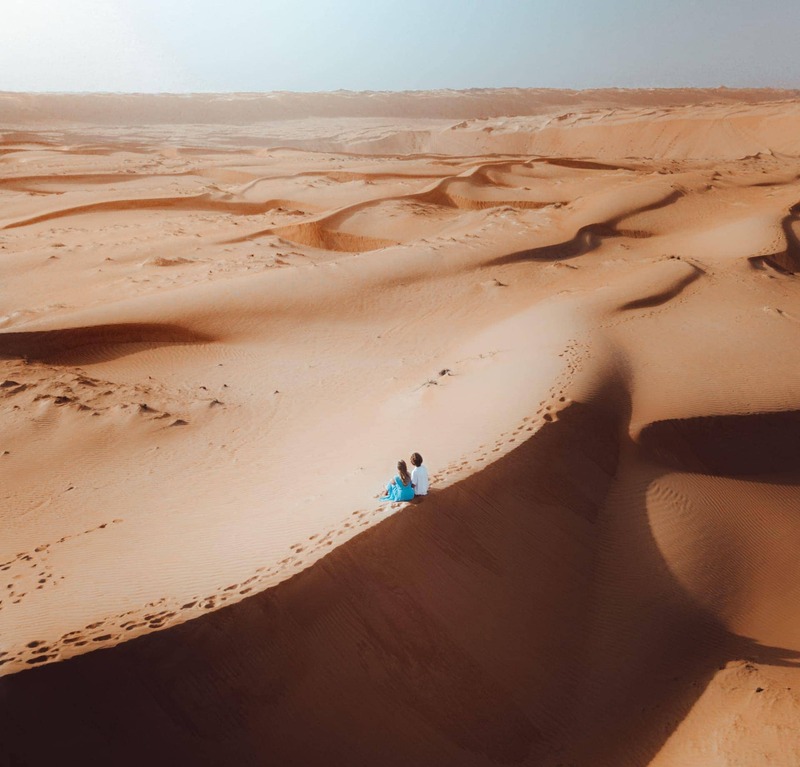 Camping or Glamping in the desert (Wahiba Sands) has quickly become a very popular thing to do all over the world like in the Sahara Desert of Morocco. 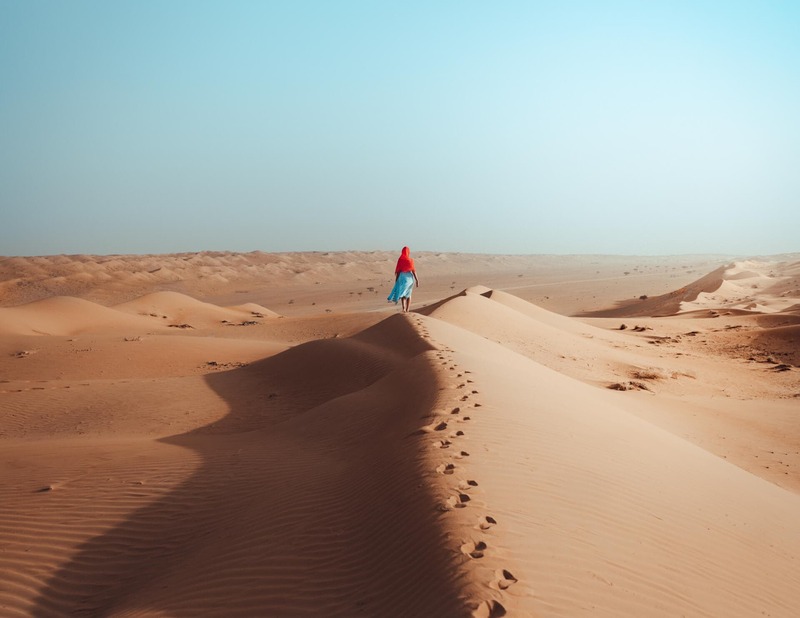 The Oman desert is enormous and is part of an area called The Empty Quarter. Which is also part of the U.A.E., Yemen, and Saudi Arabia. The Wahiba Sands is just the tip of the desert. Driving to a camp can be done by 4×4 car, just take enough water with you and deflate your tires a little at one of the local shops in town before you enter the desert. Once arrived at camp, go admire the endless sand dune views, explore the area by camel or 4×4 and have a great locally prepared dinner. Oh and please don’t forget to do a bit of stargazing! It’s best to visit the desert in their winter between October and March. In summer temperatures can rise to 50 degrees and it will be unbearable. 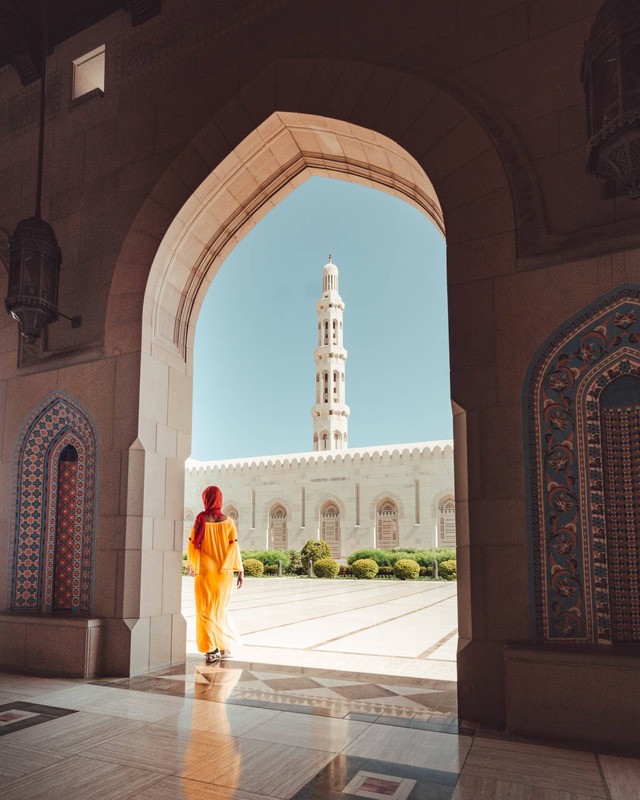 In 2001, The Sultan Qaboos Mosque was opened in Muscat. Nowadays Oman’s most important spiritual site. Its beauty defined by architecture and detail is getting attention from all over the world. Though it definitely isn’t crowded compared to other spiritual sites around the world. Important to know that it is required for both men and women to wear long sleeve tops and long pants to the ankle. For women, bring a scarf to cover your hair. The mosque’s entrance is free and it is open to non-muslims every day except Friday from 8 AM to 11 AM. 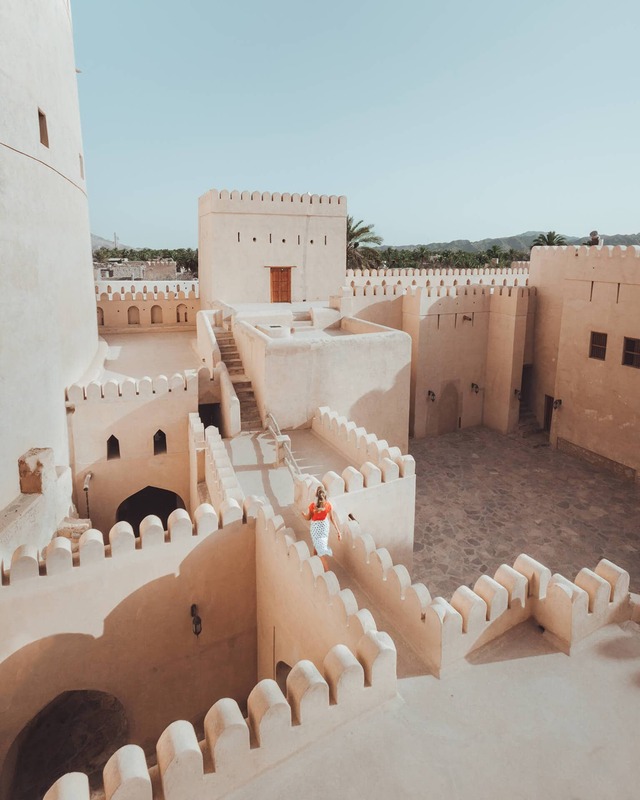 Nizwa Fort is one of Oman’s oldest and most beautiful castles. It is a great place to wander around for an hour or two. Loads of signs telling some interesting stories about the fort its purposes and defense system. Get up to the big main round fort and have a view over the green oasis of palms. 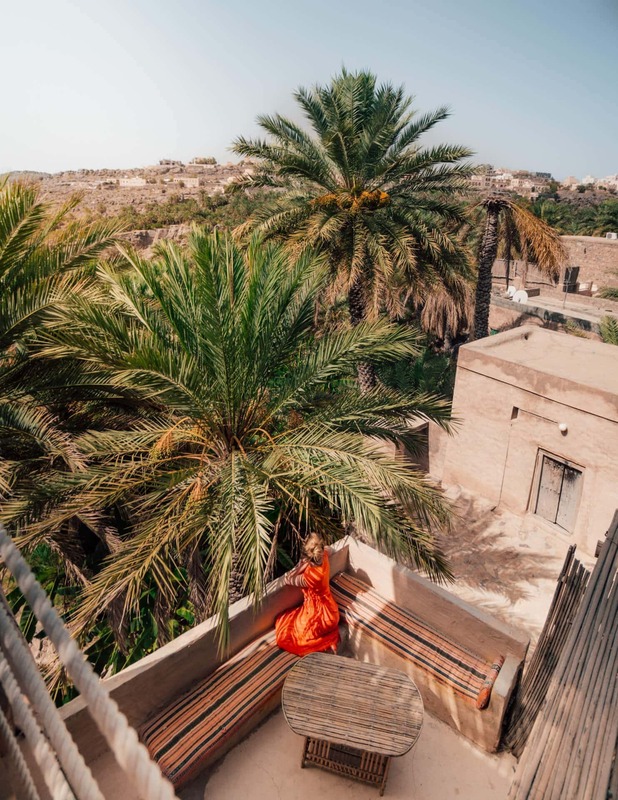 The entrance to the fort is 5 OMR (11 USD). 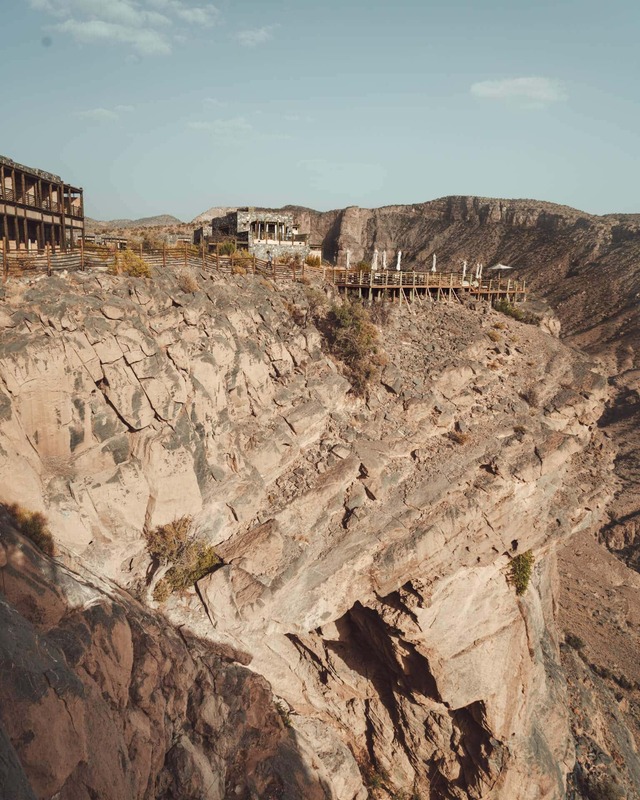 If you want to explore a more authentic experience in Oman, we recommend you to stay in a local mud village. 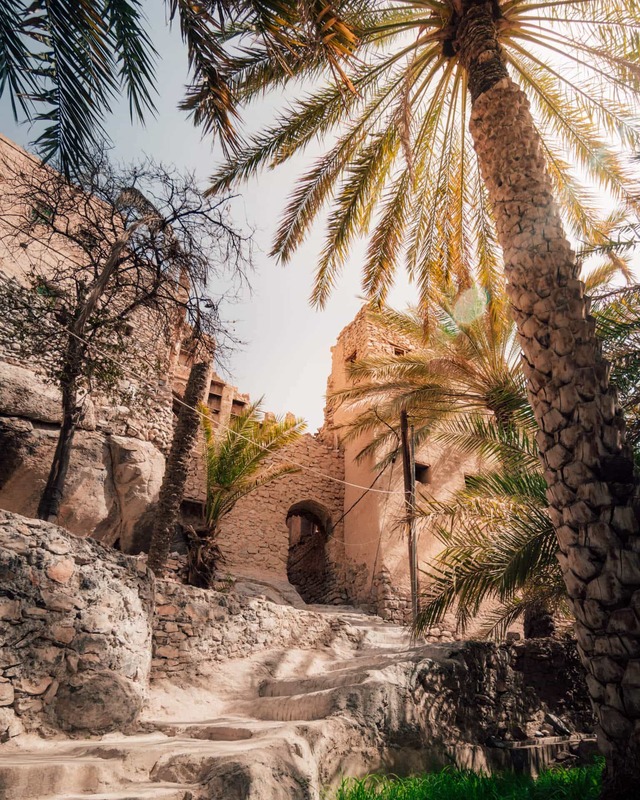 Misfat Al Abriyeen is built into a mountainside in the Al Hamra region. The houses have roof terraces overlooking the beautiful gardens where they grow their fruits like bananas and dates. In town, there are two homestays called ‘Misfahs’. This is the closest you can get to an Oman style homestay. They offer all the facilities you need. A good bed, air conditioning, breakfast, and dinner. You have to park your car about an 8-min walk from the stay because cars cannot access the village. It’s best to pack a small daypack that you can bring into the village for the night and leave your luggage in the car. Tip: Never take photos of people without asking them first. Show them your respect and they will give theirs. Expect spectacular mountain views and very few tourists. The drive in the remote mountain area of Jabal Akhdar is beautiful. Make sure that you have a 4×4 to go up. The roads are well marked like everywhere in Oman but the slopes are quite steep and it is good to have a little driving experience. Plan a spectacular hike or rock climbing. Do check weather conditions before you will go. In summer it’s a good 25 degrees but winters can get below zero. 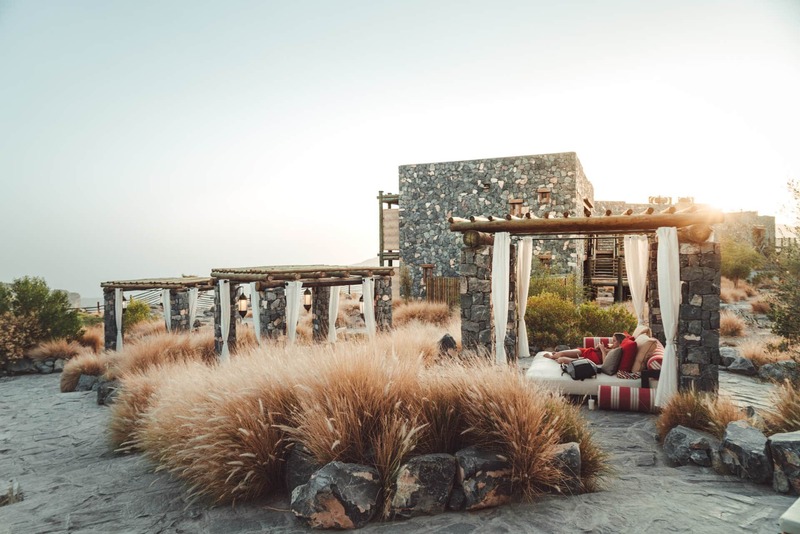 If you can, spend the night at Alila Jabal Akhdar. 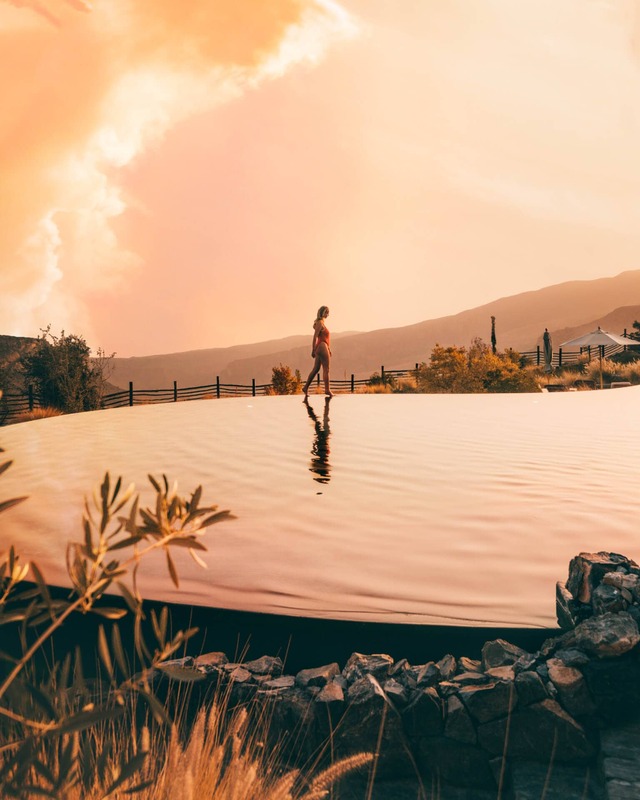 A remote luxury hotel with a valley view you will never forget. This huge naturally shaped swimming pool is next to the main road near Wadi Shab. Have a splash and cool down in that crazy blue colored water. The story goes that the whole was created by a huge meteor. Looks like it right? Not convinced yet? 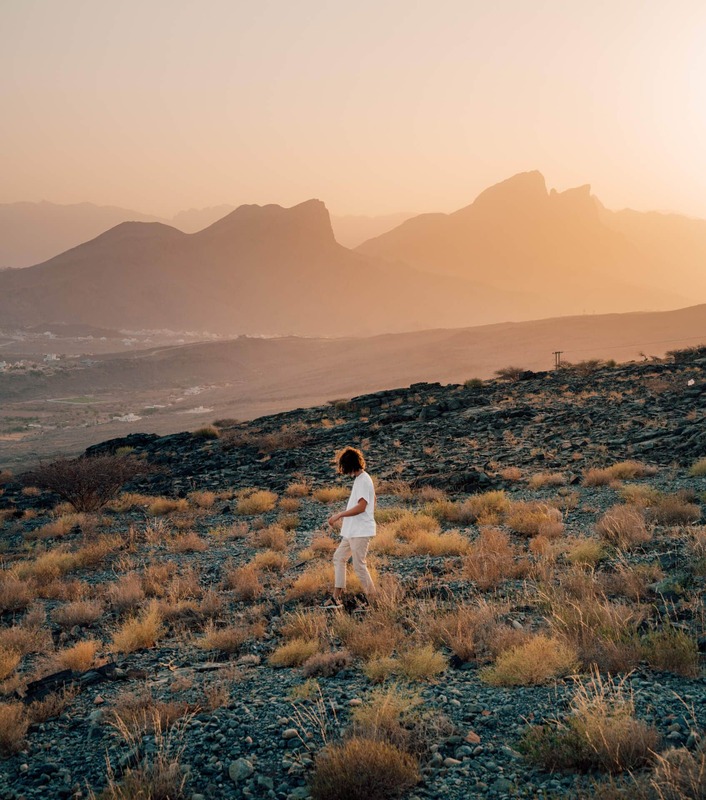 See Oman in 90 seconds! For more information about Oman visit visitoman.nl.